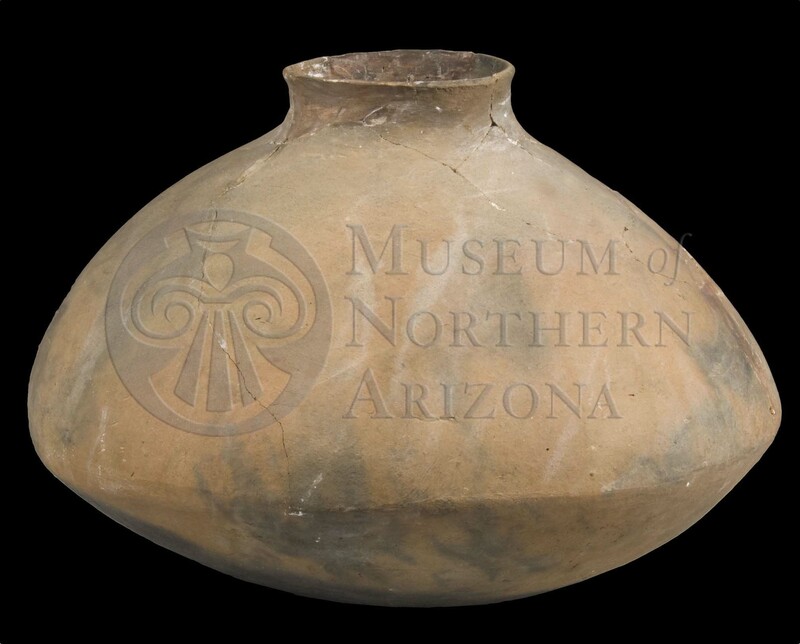 Winona Brown jar from the Museum of Northern Arizona collections. Click the image to open the Winona Brown gallery. Winona Brown is an Alameda Brown Ware type found along Walnut Creek and in adjacent localities in the San Francisco Mountain region of northern Arizona. Core Color: Gray to dark brown; usually well-fired. 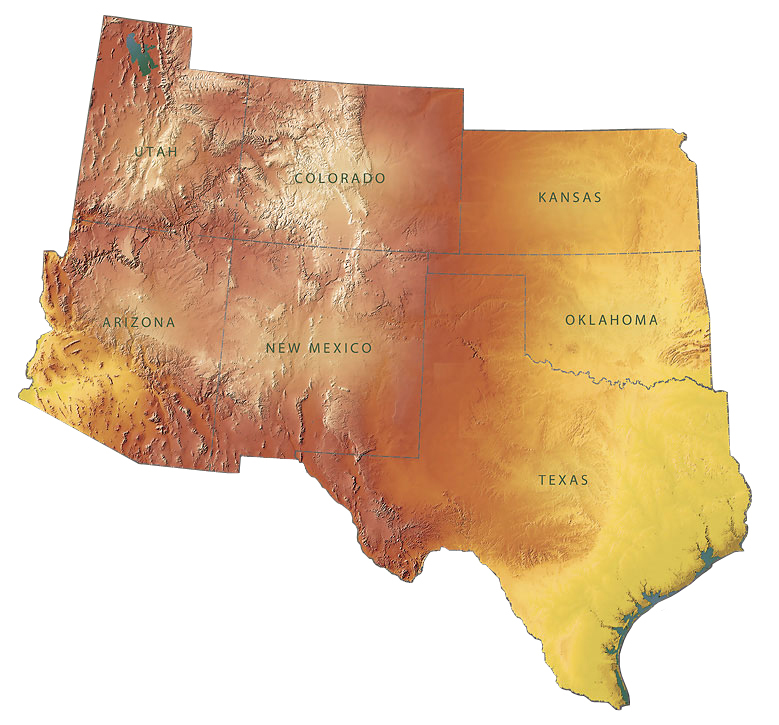 Temper: Abundant very coarse rounded or crushed volcanic tuff (gray, white, buff, or reddish); occasional minute quartz crystals, sometimes a few grains of volcanic sand. Surface Finish: Outside smoothed, never slipped, wiping marks often prominent; interiors almost never polished or finished; anvil marks conspicuous even in bowls. Surface Color: Exterior and interior bowls and jars: buff, orange, to dark brown to dark gray (near black); interiors: rarely smudged black. Forms: Jars predominate, bowls, shallow plates, odd forms such as rectangular bowls rare; Gila shoulder present on many vessels. Vessel Thickness: 3 to 15 mm; average 6.5 mm. Comparisons: Winona Brown differs from Rio de Flag Brown by having crushed or rounded coarse volcanic temper and in being more buff or orange than brown. Sunset Red has a predominance of cinder temper, and is predominantly red in color; Winona Brown is never red. Turkey Hill Red has very smooth red-slipped surfaces. Angell Brown is the same as Winona Brown except that the temper shows mostly sanadine crystals rather than gray volcanic tuff.